A good paintbox has everything that a painter needs: the three primary colors red, yellow and blue as well as the secondary colors green, orange and violet, which are created as tertiary colors by all kinds of mixing. Additionally, there are the achromatic basic colors of black and white. They can only provide the special moods, thoughts, fantasies and dreams of an artist in combination. Then only a canvas is lacking for a painting. The fact that Jonas Windscheid uses a guitar instead of brushes is due to his very own approach to color theory. The 33-year-old musician is perhaps one of the most interesting of the young German generation. His paintbox consists of well-known, rather arcane and sometimes never before mixed tones, with which he expresses his varied creativity. Hi band, which consists of a five-member selection of German and Swiss musicians who complement each other perfectly, has the significant name "Paintbox" not without reason. With the Jazz Thing Next Generation series, Windscheid and Co. have now actually found the perfect canvas for their first portrait, with which they want to amaze and enchant the public at large. It is titled "Ven" and includes eight equally remarkable as well as diametrical spots of color or (expressed more correctly) songs that above all represent the declared aim of the Cologne-based guitarist, especially in their combination. 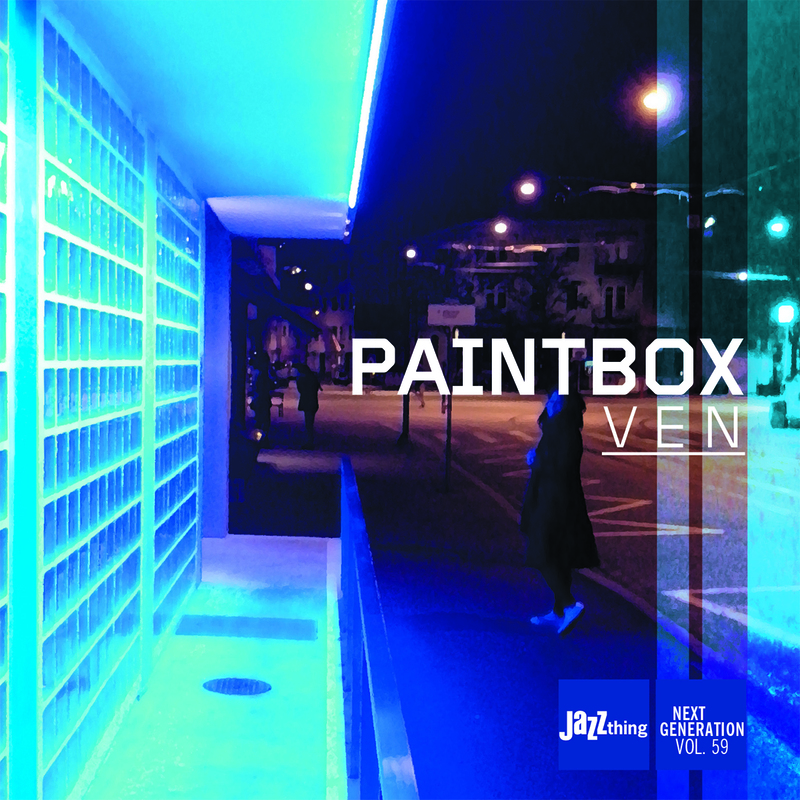 "Paintbox unites the contrasts of modern music," Jonas Windscheid emphasizes, and this does not sound overly ambitious without a reason. To achieve their stated goal, the musicians leave the mainstream of least resistance. They link wayward chord sequences and intricate rhythms with traditional jazz concepts. The five musicians (the other members are Swiss pianist Hans Feigenwinter, saxophonist Andreas Böhlen, bassist Roberto Koch and drummer Silvio Morger) roam harmonic depths and trace mysterious vanishing lines in the horizon. All this results in a new, previously unheard sound, a color that only Paintbox uses to call its own and consequently lifts the band to an exciting and enjoyable experience. ""from transparent arrangements through to trenchant timbre and delicatly mixed compositions""